The laboratory is provided with methods for the mechanical characterization of surfaces at the micro and nanoscales. Tribological and mechanical characterization of materials and coatings. This tribometer is used for friction and wear measurements under continuous or alternating sliding motion. It can be operated without or with lubrication, with solid or fluid lubricants in boundary or mixed friction conditions. Both materials and lubricants can be tested. The tribological pair may have pin on disc or sphere on disc configurations. 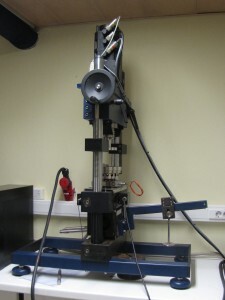 The tests can be performed between RT and 850°C. Able to perform tests according to a wide range of European and American standards. 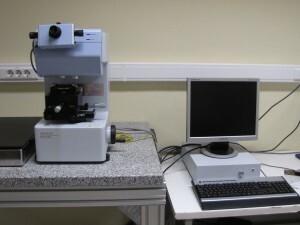 This microtribometer may be used to determine the abrasive and sliding wear coefficients of very small samples of coatings and materials in a ball on plate contact configuration. 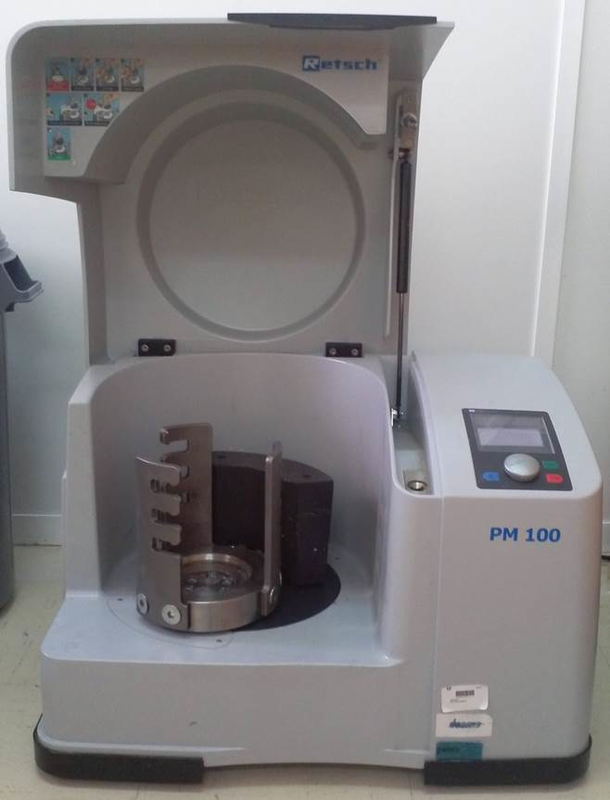 The machine may also be used as a crater-generating tool for coating thickness determination. Can perform tests according to BS EN 1071-6: 2007 standard. Multi-purpose calorimeter with microwatt sensitivity for continuous temperature scanning, step-scanning and isothermal measurements of phase transformations thermodynamics and kinetics data and determination of transformation temperatures. Vickers microhardness tester Shimadzu HMV2000, 2 Kg maximum load. 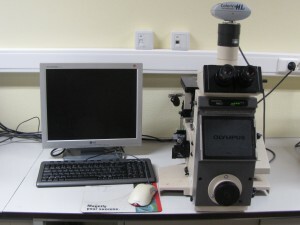 Shimadzu DUH-211S depth-sensing ultramicroindentation tester. Dynamic indentation measurements, testing in localized regions and determination of elastic modulus and hardness of a wide range of materials. Load range: 0.1 – 1961 mN. Multi-purpose metallographic microscope equipped for bright field, polarized light and Nomarski interference contrast observation. Digital image acquisition and analysis. Access conditions: Within collaborative research work. Please contact the scientific researchers in charge. 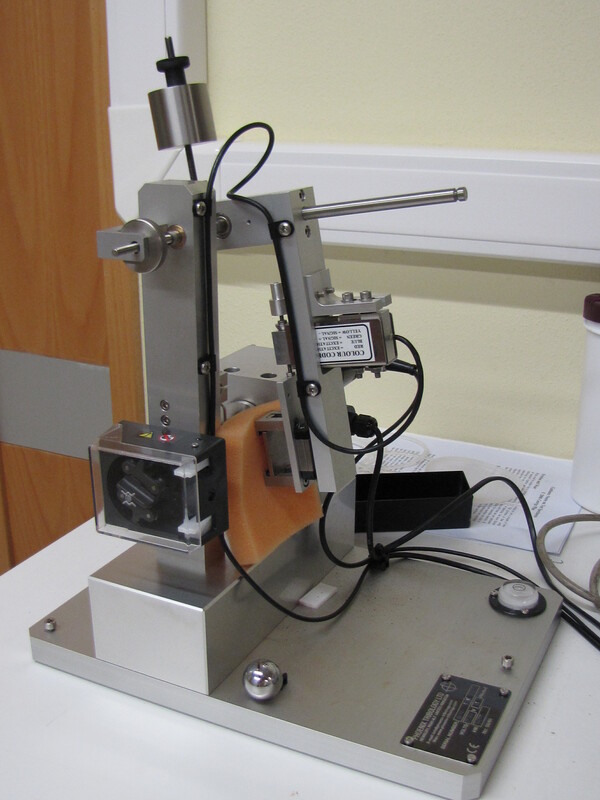 Shimadzu DUH-211S dynamic ultramicrohardness tester. The laboratory supports the development and characterization of materials engineered so that multiple length scales are simultaneously produced. Particular focus is put on the production by the powder route of bulk nanostructured metal/ceramic or ceramic/ceramic composites with multiscale dispersions tailored for functional and structural performance under extreme conditions. The laboratory also supports the production and characterization of colloidal suspensions, fine mineral based materials, and natural grown biostructures. To know more or have access to the list facilities please contact the laboratory responsible.